For book lovers in the Fox Cities: Don’t forget this weekend is the AAUW book sale at the Northland Mall. The Appleton branch of the American Association of University Women holds this sale annually to raise scholarship money for girls. Good cause, and hey, books. It was at one of these sales that I found an old geographical dictionary that inspired my story, “Geography Lesson,” which won the Wisconsin People and Ideas Fiction Contest this year. I’ll be reading an excerpt from my story at the Wisconsin Book Festival in Madison on Friday. During the festival the Friends of the Madison Public Library also will be hosting a book sale, billed as the state’s largest. Road trip! 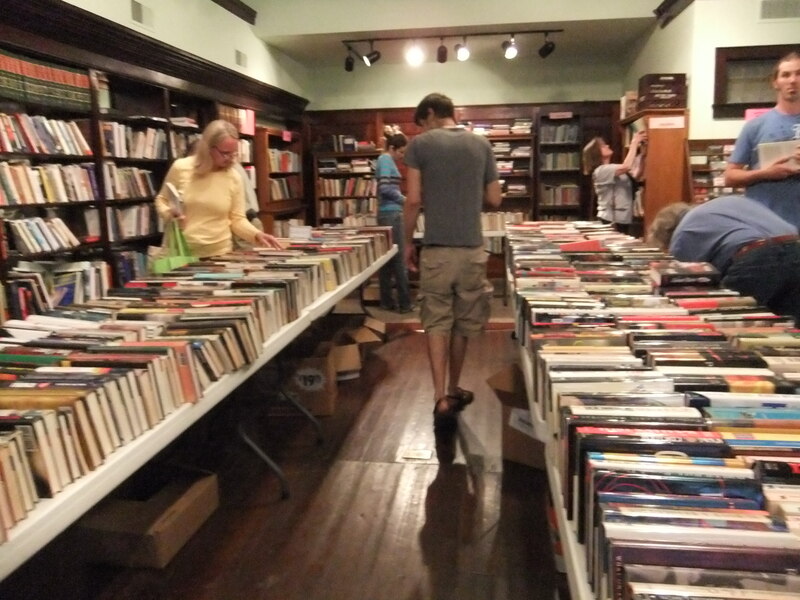 Book sale in Eureka Springs, Ark. What it’s like to wait to hear whether or not you have cancer (again).